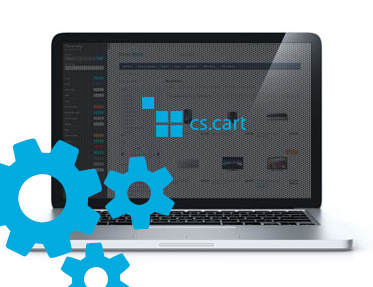 Extension to CS-Cart and Multi-Vendor enables printing address stickers to shippings from orders list. Extension to CS-Cart and Multi-Vendor enables printing address stickers to shippings from orders list. Extension can be used, when we send shippings through Polish Post and we don't want to write customer address on every shipping. We start work with extension from installing it in shop and configuration. In selectbox "COD shipment" we choose COD payments. On printed address sticker paid with COD a caption "COD" will appear, with amount and account number. 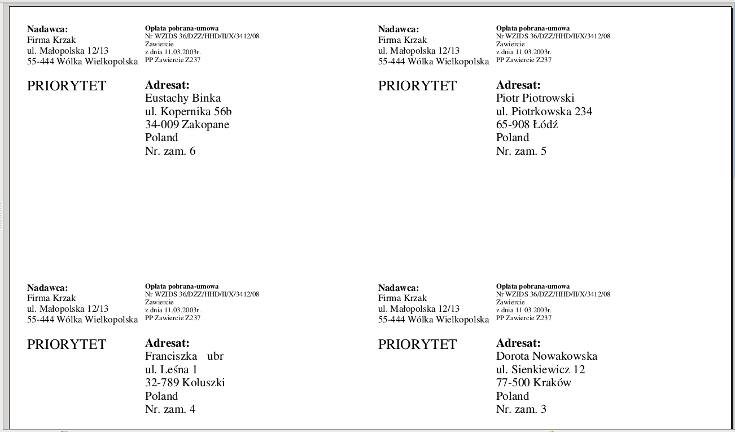 From orders list we choose transactions, that we want to print address stickers, open action list and choose "Address stickers"